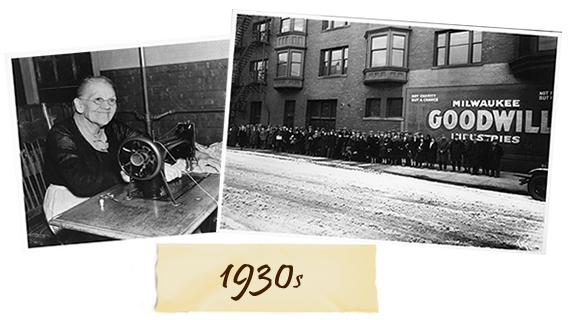 Goodwill Industries began in Boston at the turn of the 19th century as an idea by the Rev. Edgar J. Helms. The idea was simple, fight poverty not with charity, but with trade skills – and provide a chance for the poor and the unemployed to do productive work. 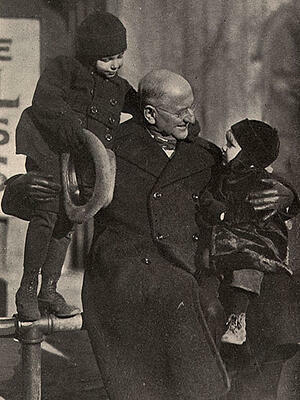 In the 1890s, there were no government programs to aid those in need. Determined to provide a hand up, not a hand out, Helms put a burlap bag over his shoulder and went door-to-door, appealing to well-to-do people of Boston to contribute shoes, clothing, furniture, anything. Poor men and women were put to work restoring collected goods while learning trades and sharpening skills at the same time. Income from the resale of the goods paid their wages and eventually an industrial school developed. 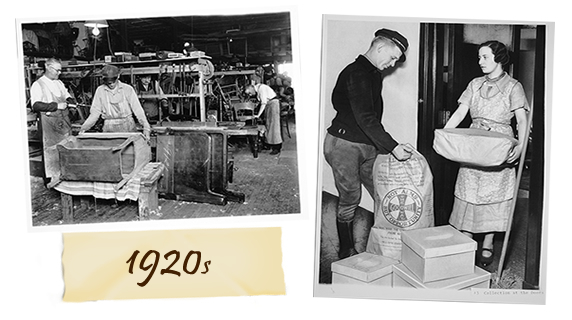 With Helms as the driving force, Goodwill Industries spread throughout the United States and by October 1919, that movement began in Milwaukee. 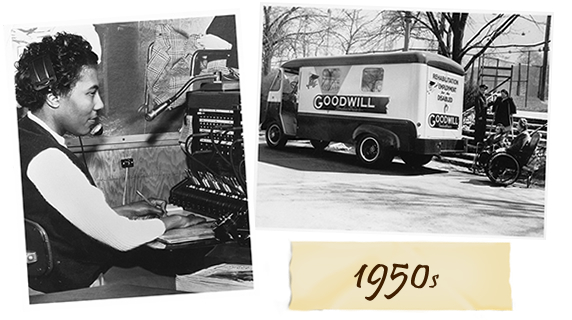 Our Goodwill was born on the east side at Summerfield Methodist Church. The work opportunities provided in those early years gave dignity, independence and hope to the people with disabilities that we served. 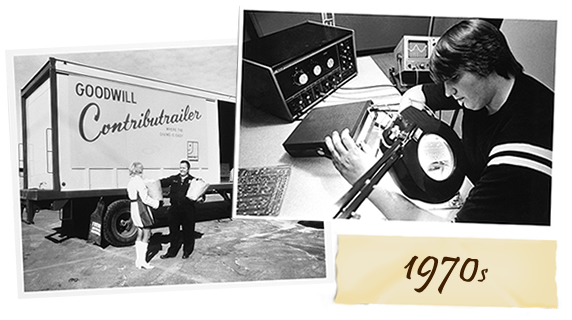 In the last 100 years, our services have changed to respond to the needs of the times. We began by helping people with disabilities and disadvantages repair donated items. 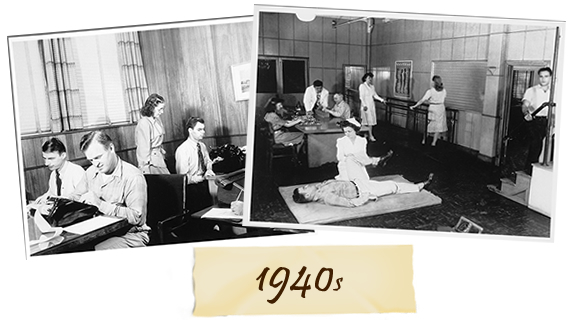 We helped connect our neighbors with basic services during the Great Depression and were proud to provide training and jobs to wounded soldiers coming back from World War II. We trained people on computers when technology became part of the American workforce, and during recessions we have been instrumental in connecting people to jobs. 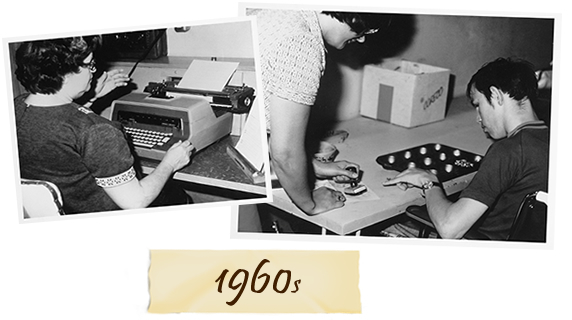 Although our services have changed, our belief in the Power of Work has remained the same. Goodwill Industries of Southeastern Wisconsin and Metropolitan Chicago is an organization that has experienced unprecedented growth, and is the largest Goodwill organization in the world. Goodwill created innovative programs, establishing neighborhood campuses to provide work experience and support services for individuals with disabilities. Our laundry services launched in 1974, serving Naval Station Great Lakes and beginning a long-standing relationship with the Navy. John L. Miller hired as Director of Professional Services. Despite economic uncertainty and high unemployment, Goodwill built program capacity and increased its service levels throughout its territory. This was accomplished by opening several new Goodwill Workforce Connection Centers in Wisconsin and Illinois, to provide free resources and job-search assistance to anyone who comes to us for help. To assist with the growing number of dislocated workers and employers looking for quality staff, Goodwill started its own staffing company called Goodwill TalentBridge. Partnerships with businesses continue to increase as we work to link employers with employees and grow awareness of our social enterprises that can help businesses in a variety of ways from document destruction and commercial laundry to packaging and assembly and staffing services. We have over 60 Goodwill Store & Donation Centers and they continue to generate funds to help support our mission and employ more people. In addition to our Goodwill Manufacturing facility that operated in Milwaukee, WI we now have a new and improved 156,000 square foot facility in Racine, WI. In 2014 Goodwill purchased the former Reiman Publications building in Greendale, WI because we had been searching for a multi-use site located in the southern portion of Milwaukee County. This site allowed us to reach more individuals in fulfilling our mission of training, employment and supportive services for people with disabilities or disadvantages who seek greater independence. The almost 165,000 square-foot building is home to Goodwill Center for Work and Training and administrative support services. As we begin this milestone year, we taking a moment to look to our past, while we plan for our future. The goal is still simple — to continue to meet the needs of the communities we serve through the Power of Work for the next 100 years.